It’s hard to believe that just 20 years ago, in our modern world, people were under the impression that something called Y2K would be able to wipe out decades of technological advances with just the alignment of three zeros. Fortunately, that never came to pass, and since then, geoscientist have been using that same technology to solve the real, more pressing issues of our human effects on the world as a whole. The most prevalent concern is the depletion of fossil fuels, which are currently being used as the most prevalent source of fuel for our modern times. However, as we all know, fossil fuels are a non-renewable natural resource that we simply cannot depend on forever. Solar power, however, being the cheapest and most renewable resource available thus far, is here and now, and more attainable than ever before. That’s why, N.E.R.D. Power is here to assist with the planning of a better future, through solar power panels, for your home and/or business – and not just better ecologically, but economically as well. To that, such an upgrade to a property, be it residential or commercial, is something that requires impeccable foresight, excellent planning, and expert opinions. That’s what we’re here for. 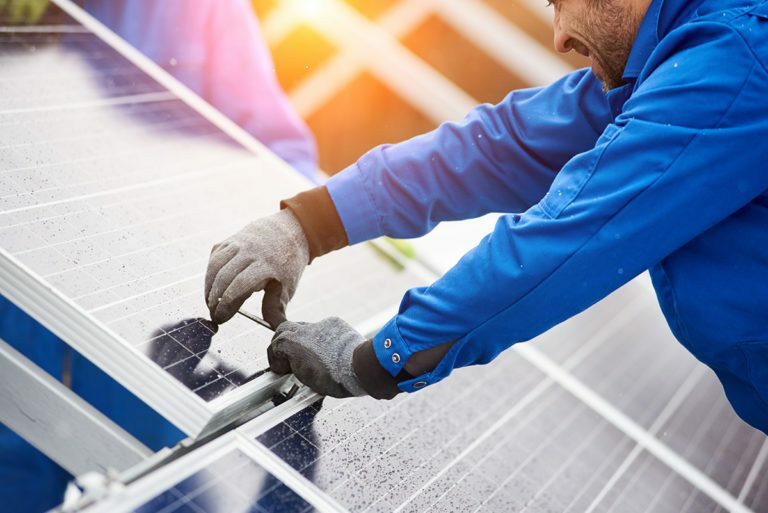 Solar panels are not a quick fix to what seems to be an exorbitant cost of power, but more of a palpable solution to helping make sure that your power isn’t costing you, or the planet more than is actually necessary. Depending on the size of your home or business, you could start to see a decrease in costs in the first 18-24 months. Depending on your location and ability to retain long hours of sunlight, with solar panels, you could end up spending no money on electricity for days on end, without changing your daily routine at all. Ready to learn more? We invite you to call one of our N.E.R.D. Power specialists today, and we’ll give you a detailed account of everything you need to get started.